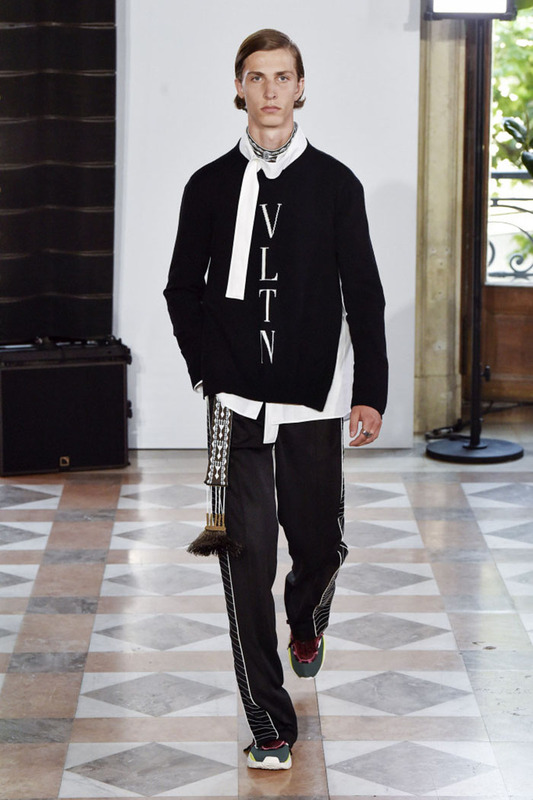 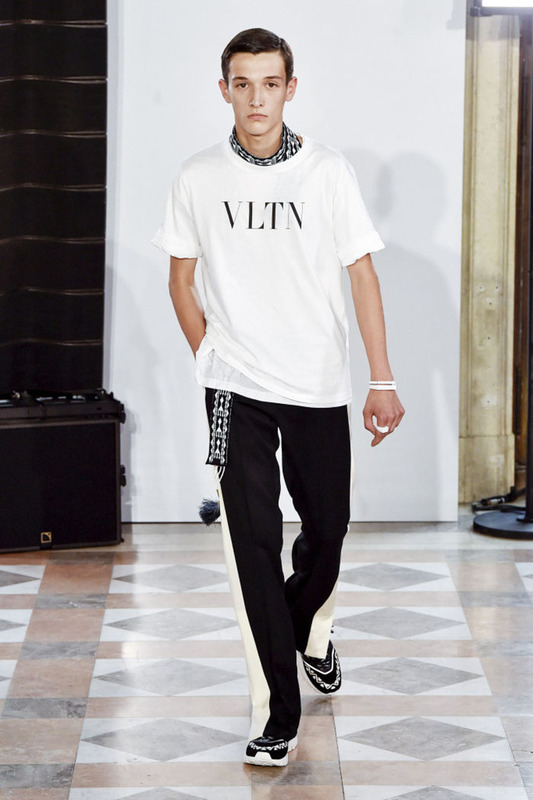 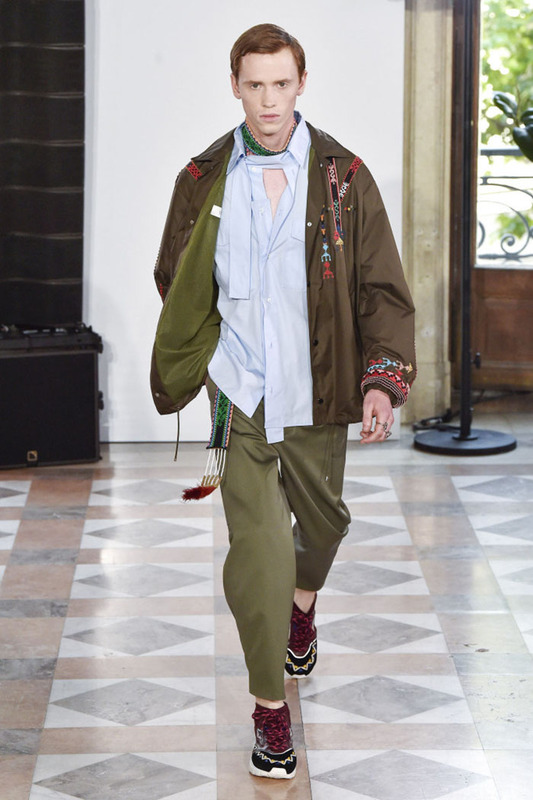 Pierpaolo Piccioli’s spring collection for Valentino was all about self-expression. 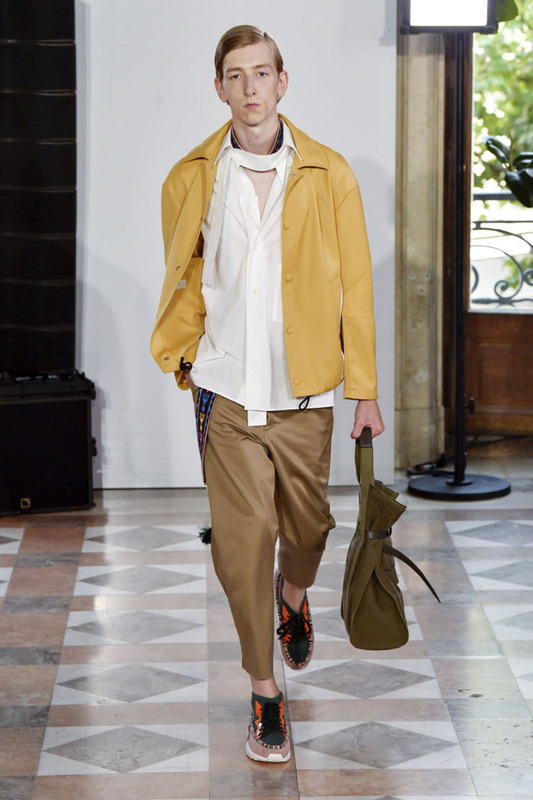 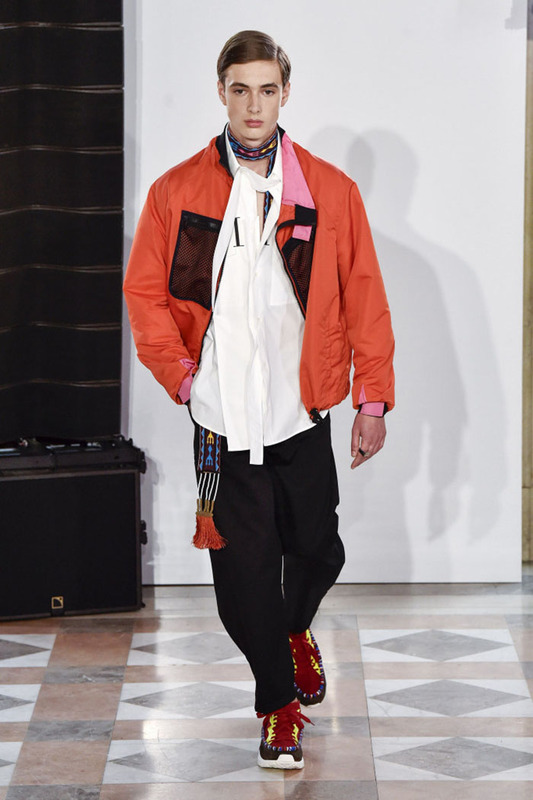 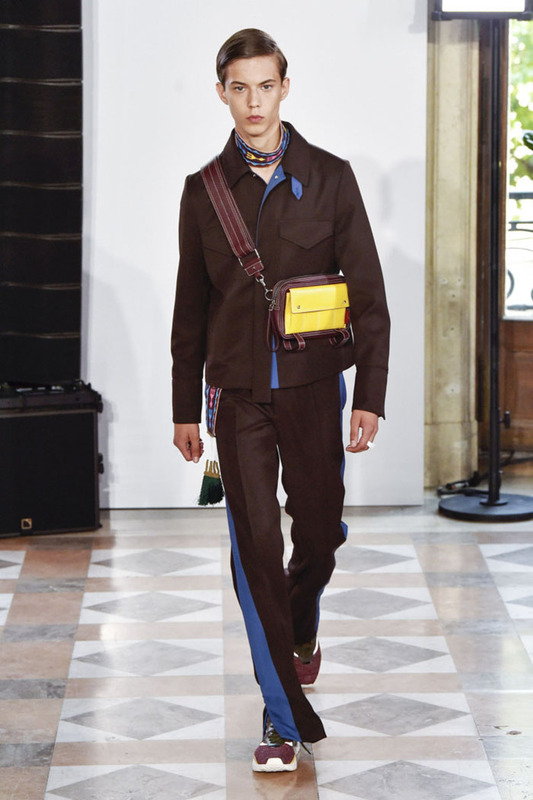 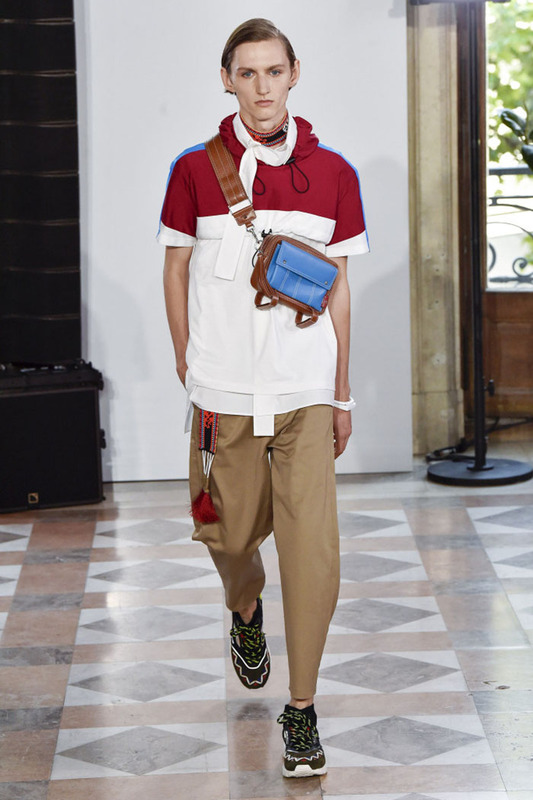 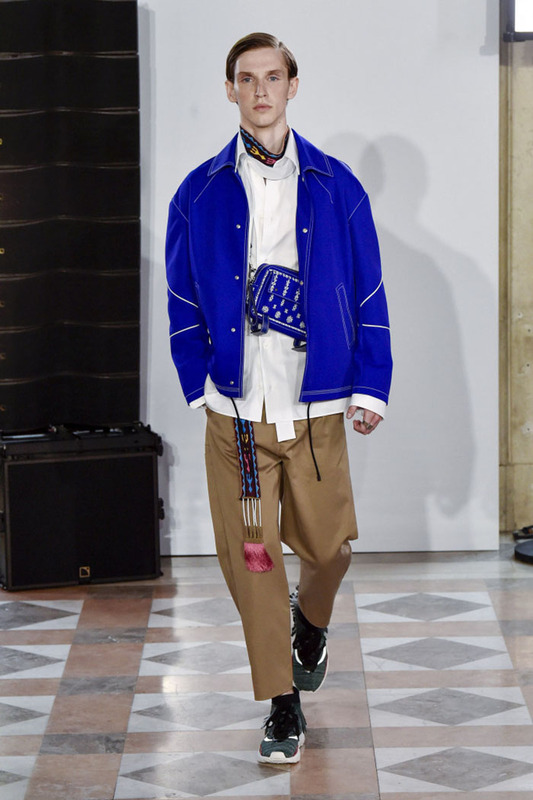 Strongly influenced by streetwear and sports, the lineup was rich in craftsmanship and personalized details, and strikingly poor in traditional sartorial options: there was not a single suit in sight. 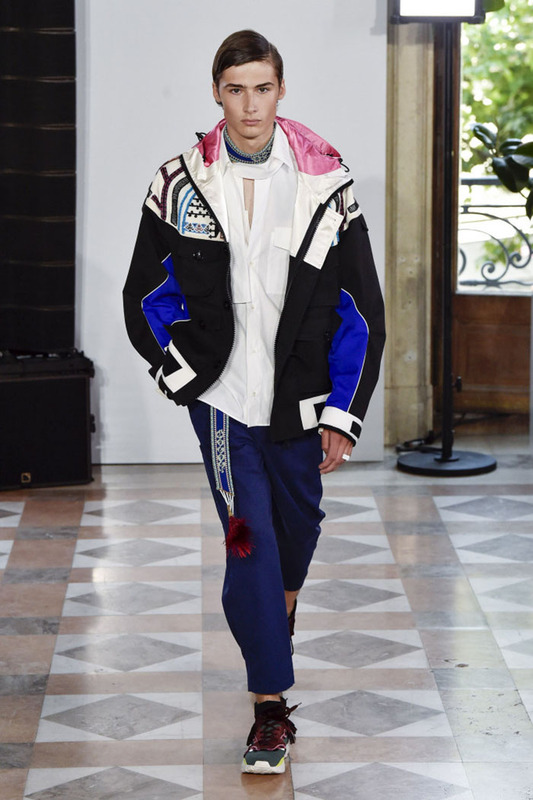 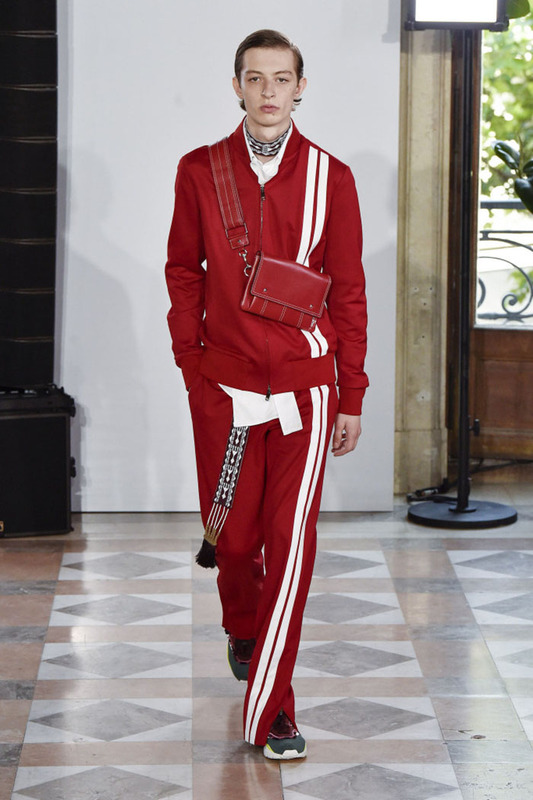 Instead, Piccioli offered luxed-up track suits finely embellished with rows of white beads or contrasting white stitching. 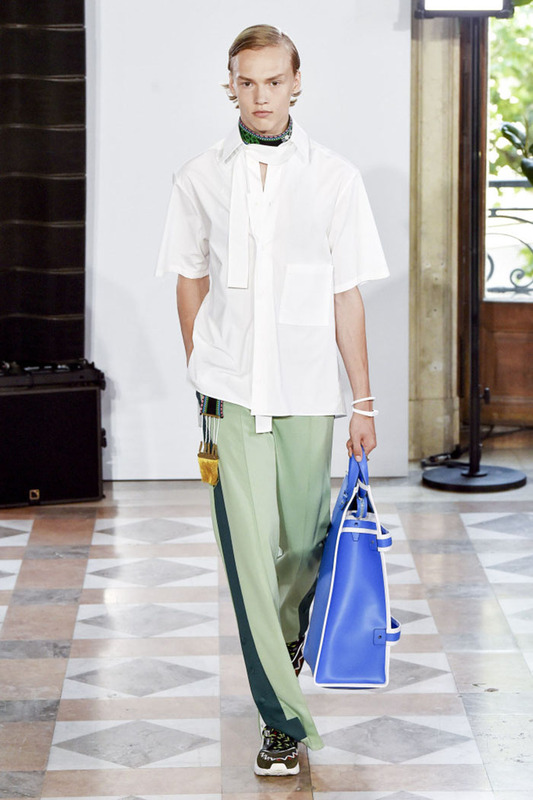 Wide-leg jogging bottoms could easily substitute for dress pants: witness a chic pair in mint and forest green, worn with a crisp white poplin short-sleeve shirt with a buttoned scarf at the neck. 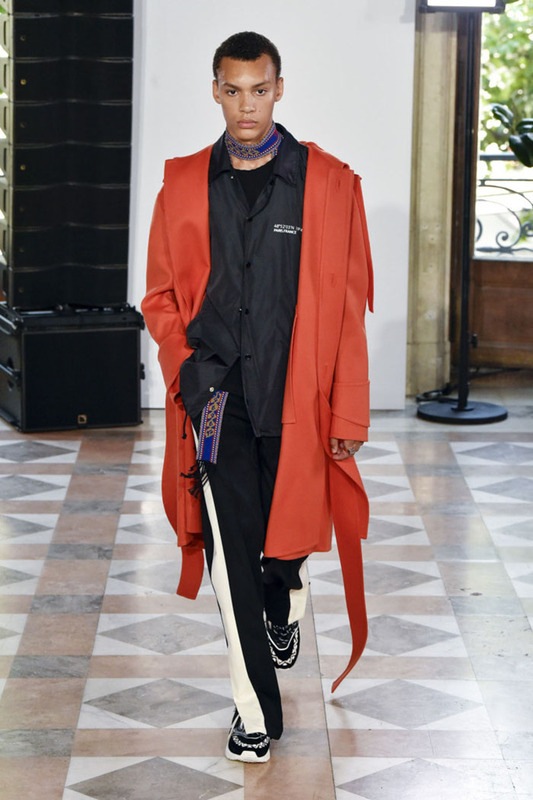 Outerwear was equally upscale. 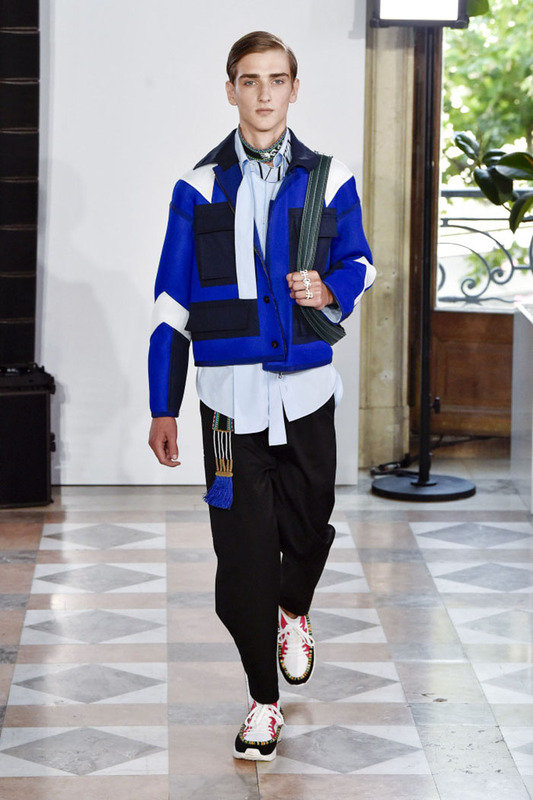 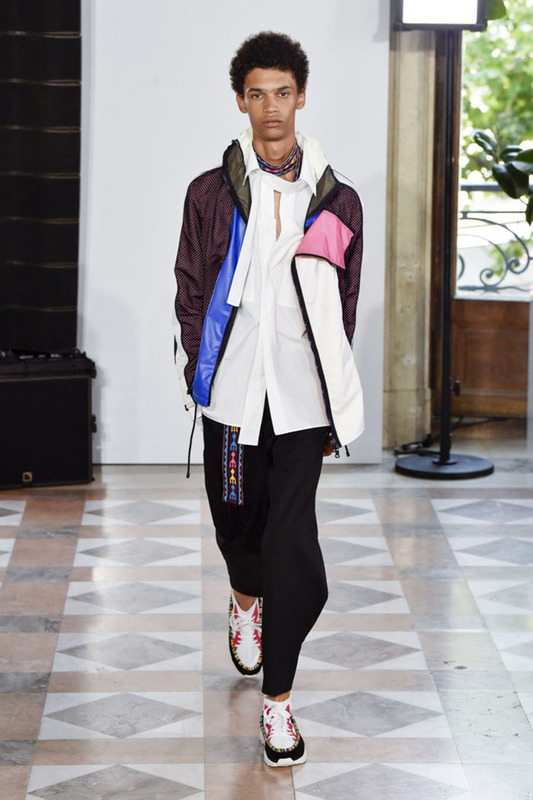 A graphic windbreaker was made of ultra lightweight leather, while anoraks blended nylon, leather and technical mesh with Central American inspired touches like woven belts, geometric embroidery and colored trims. 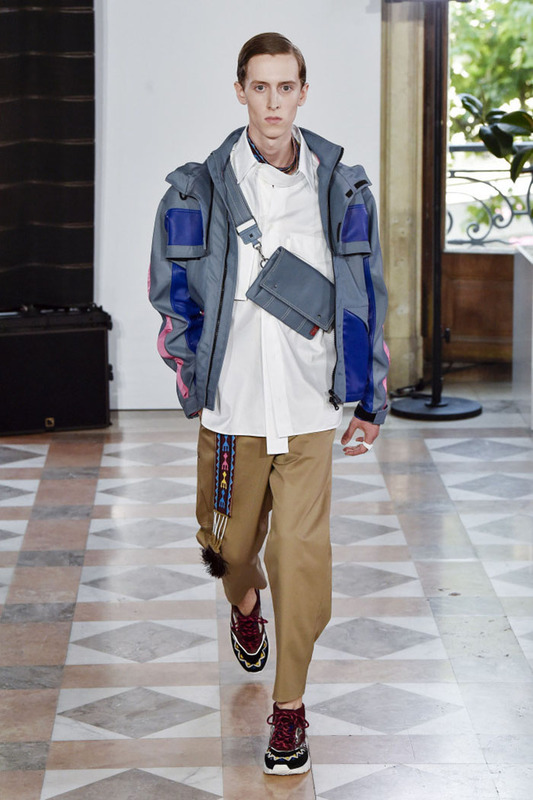 New spins on wardrobe staples including a black biker jacket, chino pants or a studded bomber jacket provided more of a blank canvas for the wearer. 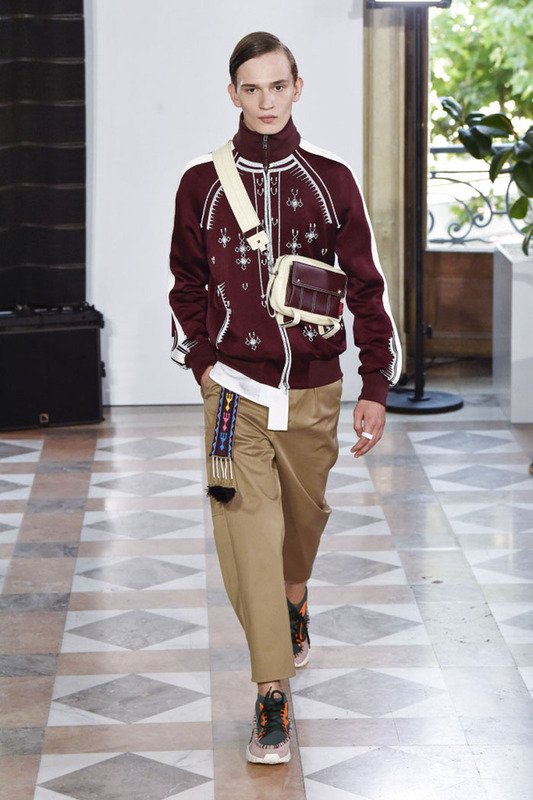 “Diversity means allowing people to show their personality, their individuality in their own way. 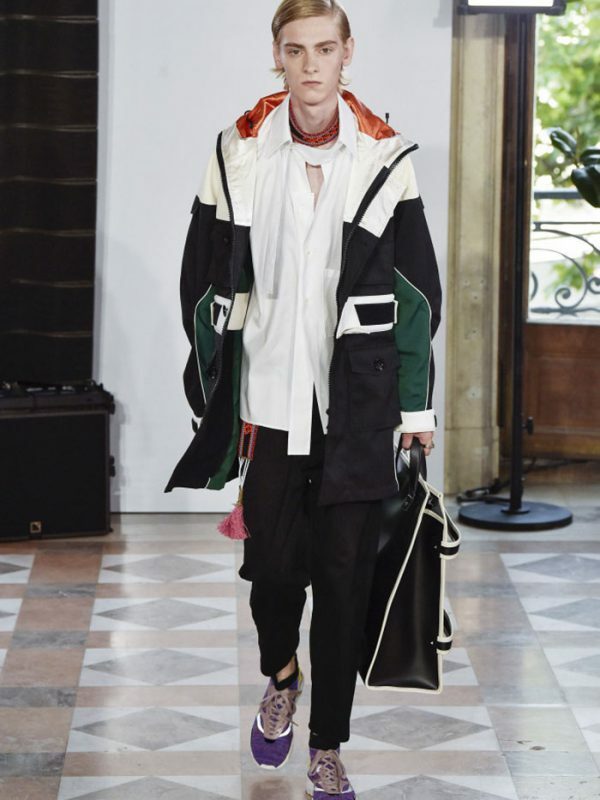 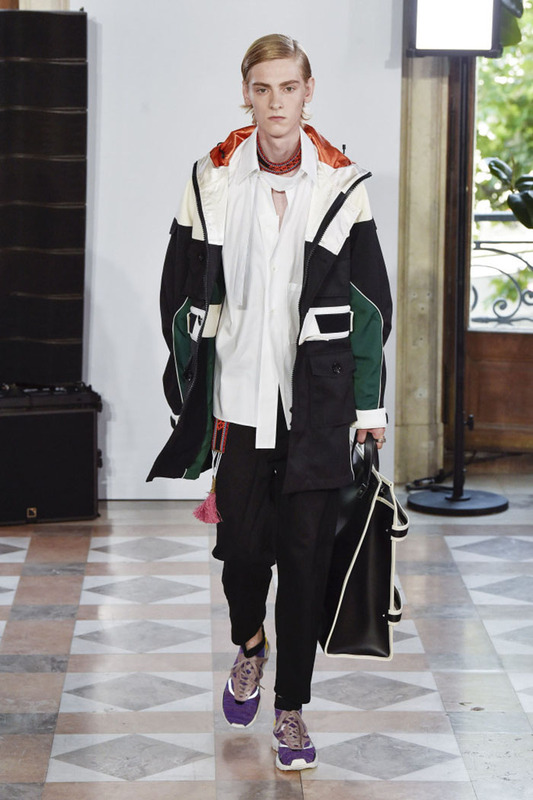 If that’s the case, all the pieces have to be key pieces in a way items to mix with your own wardrobe in your own way, to underline your personality,” Piccioli explained. 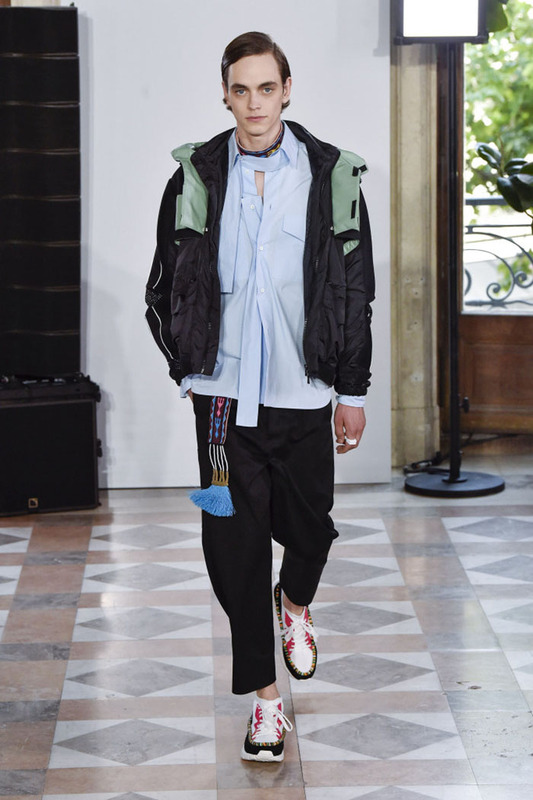 If some of the looks required a peacock spirit, the eye-catching sneakers available in an array of colors and styles should go down a treat with Silicon Valley types.